After this past Christmas, the wife and I decided to leave the warm sunny beaches of SE Florida and go visit my daughter and her husband and the 4 Grandkids for the New Year holiday. I had found out from my daughter that they had bought 2 metal detectors for the 4 kids and that they were kind of disappointed by the first results of going out metal detecting. I told them not to worry and packed all my Metal Detecting equipment and headed for “icy” NW Louisiana. The second day there was a very nice day, so the grandkids were bugging me to go metal detecting. After some instruction and explanation on how detectors work we started going over the front yard. So I got 2 boys, (17 and 5) and 2 girls (16 and 12) now out there calling “grandpa” for every beep. We were having fun. The eldest girl found a 1913 wheat penny about 20 feet from the front door. She was happy finding that. The rest of the kids then worked harder. A few minutes later, again, the eldest girl caught another beep but could not find the target in the soft earth. I went over with my Garrett AT Pro and heard it and wow!!! I then hit the pinpointer and stopped on a dirt clod about 2 inches in diameter. I told her it was in there. 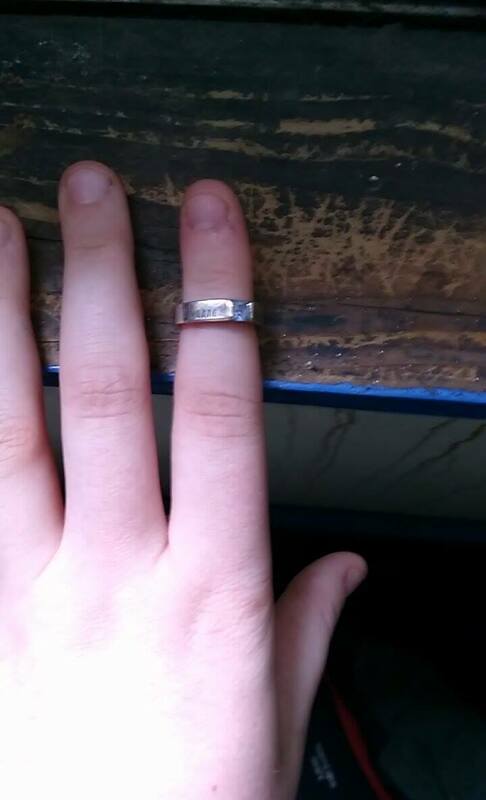 Now as a little background here, My Ex has a tradition of giving the girls a gold ring with their birthstone in it on their 10th birthday. 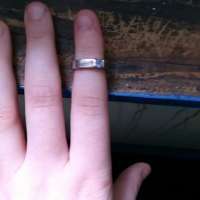 Well the now 16 year old lost hers somewhere a couple of months after she got it. Needless to say she got in to a lot of trouble over it, as she had no clue where she lost it. Back to the dirt clod…. She started peeling the mud back and all of a sudden we saw the gold of the back of the ring. She started to get all excited. As she cleared off more of the mud the birthstone came to light and she screeched with happiness. I got a big hug and she went in and cleaned it and showed it off. It was fun recovering this, as it has been lost for the better part of 6 years and the very person that lost it, fittingly, found it. I have just given the detecting bug to 4 kids and 2 adults. We hunted other areas there too and found lots of clad and relics, but that ring was definitely the best find.